We carry a full range of OM1, OM3, OM4 and Singlemode cable types. We offer a full custom manufacturing service and can therefore cater for all of your requirements. Whatever you want we can manufacture to your exacting standards. rapidconnect Fibre Optic Patch Cables are available in SC, LC, ST, MTRJ, Angled SC, Angled LC, FC. We can also offer a variety of other connector styles if your requirement dictates. 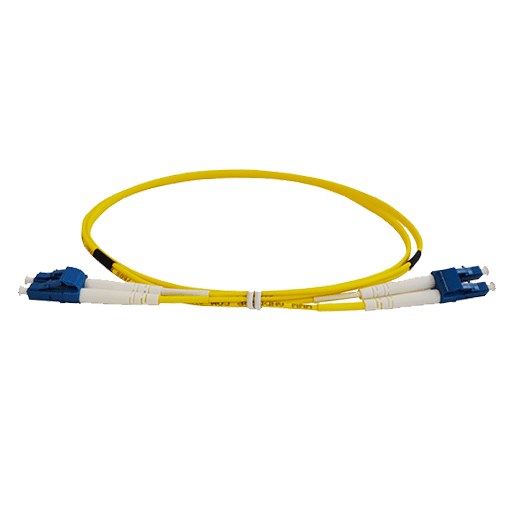 rapidconnect Fibre Optic Patch Cables are all provided with a Low Smoke Zero Halogen Jacket as standard. Low Smoke Zero Halogen will protect against the risk of toxic gases emerging during a fire. Once you purchase rapidconnect Fibre Optic Patch Cables you have the satisfaction of knowing that they are provided with a lifetime warranty. For this reason you can have confidence in the quality of our products we have. As the rapidconnect Patch Cables are all factory terminated they all come with extremely low losses when compared to field terminations. rapidconnect Fibre Optic Patch Cables are available in SC, LC, ST, MTRJ, Angled SC, Angled LC, FC. We can also offer a variety of other connector styles if your requirement dictates. We carry a full range of OM1, OM3, OM4 and Singlemode cable types. The cable colours that we have available are as follows: Orange (OM1 standard), Aqua (OM3 standard), Erika Violet (OM4 standard), Yellow (Singlemode standard), Pink, Black, Red, Blue, Green and Purple. We offer a full custom manufacturing service and can therefore cater for all of your requirements. Whatever you want we can manufacture to your exacting standards. Each rapidconnect Fibre Optic Patch Cable come complete with test results. All of our products are 100% tested and therefore each product has its own unique measurements. These are shown on the packaging for your reference.